After visiting 65 countries, 50 US states, and 7 continents, we have bought and tested dozens of products and gadgets designed to make life on the road a little more comfortable. 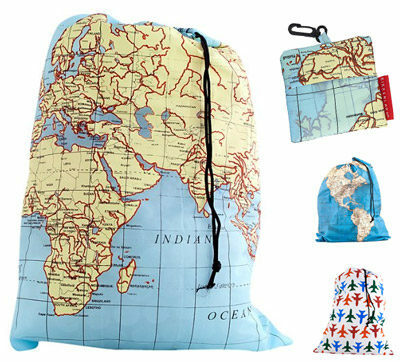 This travel shop showcases our very favorite items: they are the products we take with us every time we travel for work or vacation. Before you pack your next suitcase, take a look at this list and consider stocking up on some of our favorite travel tech items, luggage, and accessories! Click the + button to learn more about each item. 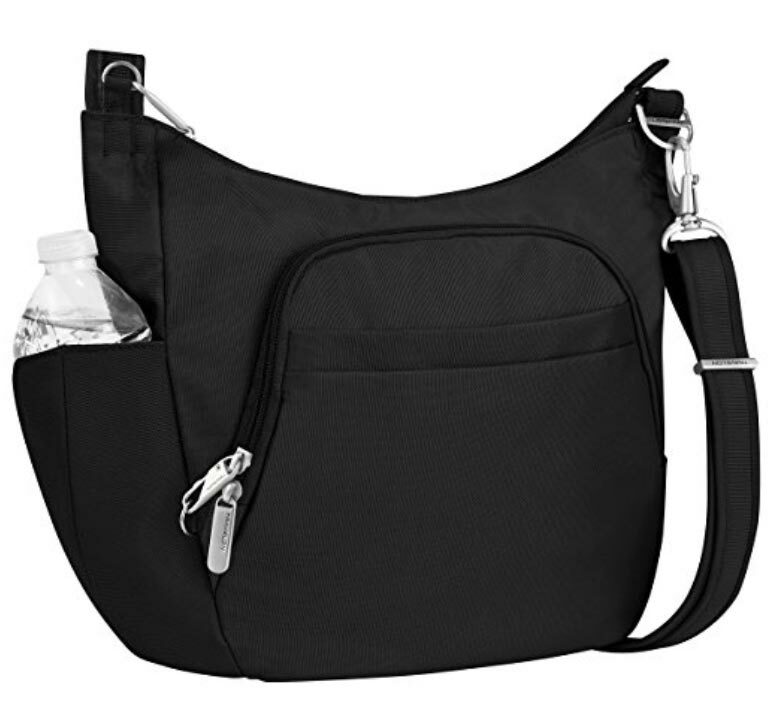 We are often asked about safety and pickpocketing when we travel, and the Travelon Anti-Theft Cross-Body bag has brought a lot of peace of mind when walking through busy places. With RFID blocking compartments, slash proof straps, and zippers that lock to prevent accidental opening, this bag is better than most at keeping your belongings safe. The bucket bag is a great size and can easily hold a wallet, phone, sunglasses, and a water bottle. We bought this dry bag for our trip to Antarctica to ensure our camera and phones weren’t destroyed getting in and out of zodiacs. Just about everyone on our trip had one, and they really get the job done. 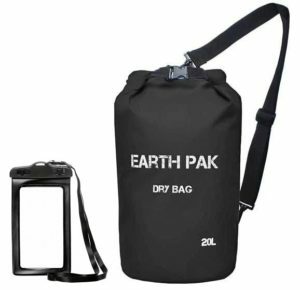 A nice bonus is that this dry pack comes with a waterproof cell phone bag, and you can easily use the phone while it’s in the bag to ensure you have maximum protection. When we travel, we often have checked luggage that can get a little bit heavy after visiting a few countries and buying some souvenirs (and the occasional bottle of wine). 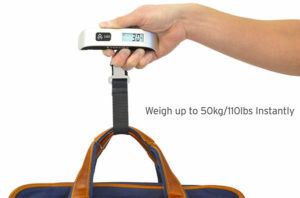 Avoid nasty surprises at the check in counter by knowing how much your luggage weighs in advance with this handy luggage scale. It attaches to the handle of your suitcase or carry on bag, and it reports both pounds and kilograms; it even gives the temperature in both Fahrenheit and Celsius! Best of all, at just 8 ounces it won’t add weight to your bag, but it will ensure your bag stays within the weight limit. 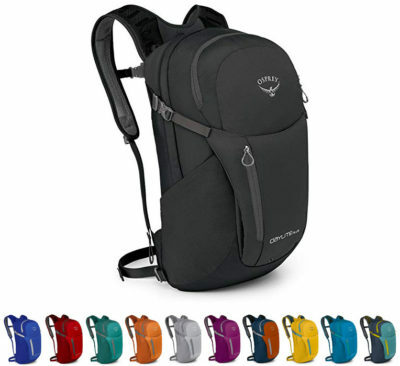 For day trips and shorter excursions, we love this Osprey backpack. It’s spacious and comfortable thanks to its padded straps, and while it doesn’t claim to be water resistant it regularly keeps our things dry if we get caught in the rain. We can usually carry our DSLR camera, a few water bottles, and some snacks, and we still have room for souvenirs or other items we pick up along the way. It’s lightweight and it fits easily in our luggage. 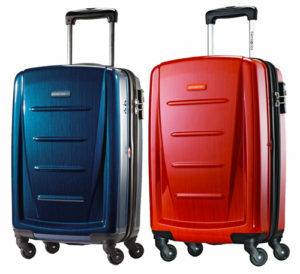 We’ve gone through a lot of luggage over the years, but this hardside spinner has been our favorite. It’s made of super lightweight polycarbonate that is also tough and durable to protect your things. It comes in a variety of sizes and colors, and it even features a built-in TSA approved security lock right on the zipper, which is perfect for adding an extra layer of security when you leave luggage at your hotel. After years of using plastic grocery store bags to transport dirty laundry around the globe, we finally invested in a larger, reusable laundry bag—and it’s one of the best purchases we’ve made! 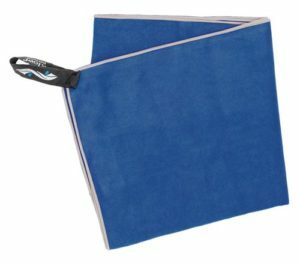 This bag won’t rip or tear like plastic bags, and it provides enough space for quite a bit of laundry. When we return home, we toss it into the washing machine along with its contents to clean it for the next trip. Additionally, it packs into itself and has a hook that will attach to the interior of your luggage or your toiletry bag so you don’t forget it before your next trip. For shorter travelers or anyone who prefers to elevate their feet, the Sleepy Ride Airplane Footrest is an incredible invention. 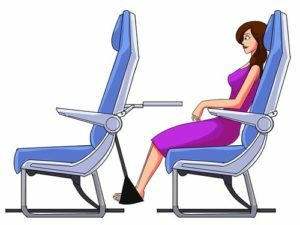 It slips over the tray table to provide a cradle for your feet or legs, which is as close to a recliner as you might get if you are flying in economy class. A handheld battery-operated fan is an essential item for us. 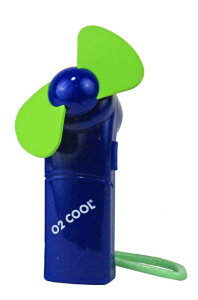 This O2Cool fan is inexpensive and runs on just two AA batteries. It has a carabiner that makes it easy to clip onto your backpack or belt. The pocket fan is a lifesaver when you’re outside walking in the heat all day or stuck somewhere without air conditioning. It’s quiet and the soft foam blades can push enough air to cool you down anywhere. 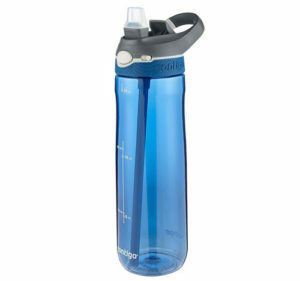 After field testing many water bottles, this one is our reigning favorite. It’s virtually leakproof because it has a drinking spout controlled by a press-to-release button as well as a locking mechanism that prevents accidentally pushing the button. Stephanie bought the 24-oz bottle, which fits snug in her backpack and her travel purse. Hydration is a huge part of how we stay healthy on the road, and we never travel without a refillable bottle, so this one has been a terrific purchase! Fill it up at the hotel before you head out for the day and you’re good to go. Between phone cords, eReader cords, tablet cords, laptop cords, and all the other cords that power your technology, the inside of your carry on bag can get a little tangled. 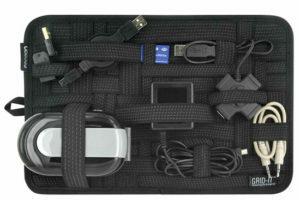 That’s why we’re big fans of the Grid-It organizer, which weaves a series of rubberized bands together to ensure your cords stay organized during your travels. We love that cords don’t easily get loose and that it packs flat, so you can quickly get to the cables you need without having to detangle them. According to The Hitchhiker’s Guide to the Galaxy, “A towel is about the most massively useful thing an interstellar hitchhiker can have… Any man who can hitch the length and breadth of the Galaxy, rough it, slum it, struggle against terrible odds, win through and still knows where his towel is, is clearly a man to be reckoned with.” We always travel with a towel for that reason, and the PackTowl Personal Towel is a great choice. It comes in multiple sizes and colors, dries really fast, and the smallest one is perfect for dabbing away sweat after a hike or in humid spots. Don’t use your sleeve to wipe sweat, use this! Best of all, it has a hang loop that can attach to your carry on bag, which means you’ll always know where yours is. It is so hard to get comfortable on flights, especially if you are on the aisle or the dreaded middle seat and worry about accidentally leaning on a stranger next to you. This memory foam pillow provides excellent neck support, and it’s wonderfully soft to make relaxing just a bit easier. It comes with a nice sleep mask and some bonus earplugs to ensure you can block out the lights and sounds that might otherwise wake you up. When you walk as much as we do, your feet can get pretty sore. 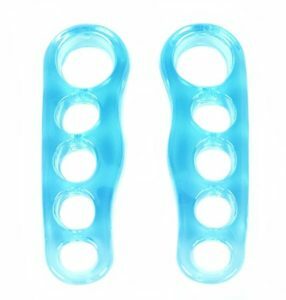 Put these rubber relaxers on your toes at the end of the day to relieve stress and tension in both your feet and legs. They’re great for increasing circulation on flights as well; just ten minutes a day will breathe new life into your feet and ensure you are ready for another full day of walking when you are on the road. We often joke that we need vacations from our vacations—we wake early, fit as much as possible into busy days, and return to our hotel rooms sleepy and ready to relax. 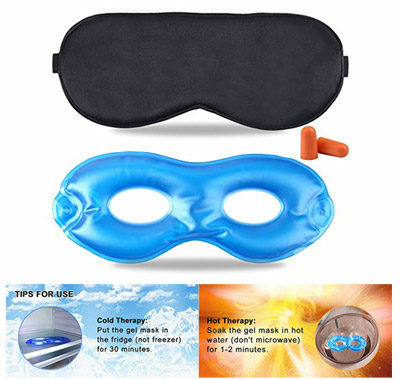 One of the best ways to do that is by slipping on this gel eye mask, which can be chilled if you prefer for an extra spa-like experience. This mask has eye holes so you can watch TV or read (or write an article or two), and it comes with a complimentary sleep mask that can be worn over the gel mask or alone. If you miss your bulky hair straightener when you travel, this travel straightener is a great alternative. 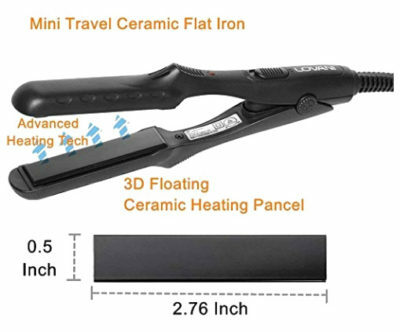 Small but powerful, the straightener heats nicely and won’t take up a lot of space in your travel bag. Best of all, the straightener operates on dual voltage, which means you can use it during international vacations without tripping you hotel’s circuit breaker. Traveling with a scarf is one of our favorite tips to share with our readers. They can double as shawls on cold nights, blankets on planes or trains, and add some flair to an outfit. 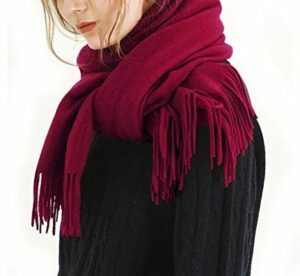 Consider taking a cozy scarf with you on your next trip; this cashmere wool scarf is a great size and will look good whether you are wearing it or cuddling beneath it. Flying can take a real toll on your body, especially your legs. Cramping, swelling, and even blood clots can be of great concern to many passengers. 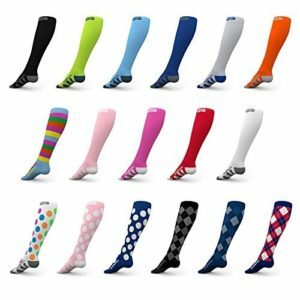 Ward off those challenges with a pair of compression socks, which will increase circulation, help you to stay more comfortable, and reduce your risk of developing cramps or clotting when you fly. Non-metal Travel Belt - TSA safe! Tired of having to take off your belt when you pass through security? We’ve been looking for a great travel-friendly non-metal belt for a long time and we can finally say we’ve found one we love. 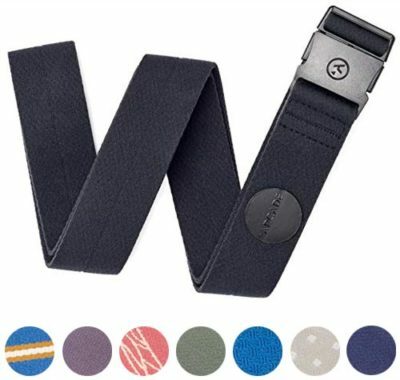 The Arcade Ranger Slim Belt has a strong plastic buckle and it uses lightweight elastic webbing for maximum comfort. It comes in one size but it says it works great for anyone up to a 40″ (101.6cm) waist. Get rid of those metal belt buckles and enjoy an easier passage through airport security on your next flight! A quality pair of sunglasses is an important item to bring on any trip you take. 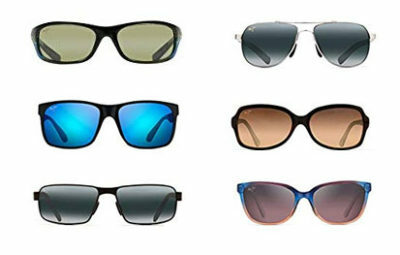 We love Maui Jim sunglasses and they have a huge selection for both Men and Women. Stylish and vibrant, Maui Jim’s polarized lenses combat intense glare and harmful UV and allow you to see the world with truer colors and crisper details. Check out the link below to find the sunglasses that fit your style. We do a ton of walking when we travel, so it’s essential to have a comfortable and reliable pair of shoes. Adam loves adidas Terrex Swift R2 GTX shoes. 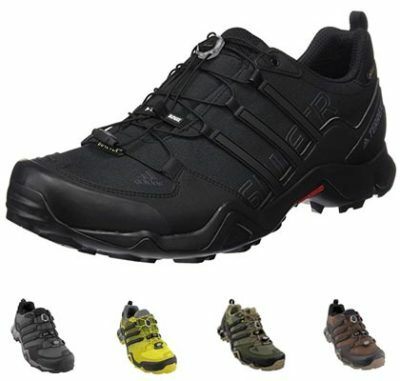 They’re technically hiking shoes, but they are surprisingly comfortable, lightweight, and work great as everyday shoes. They have excellent support and traction, an easy speed lacing setup, and (best of all!) they have GORE-TEX waterproofing to keep you dry. They’re perfect for anything from light outdoor hikes to urban walking tours, and they come in multiple colors for both men and women. 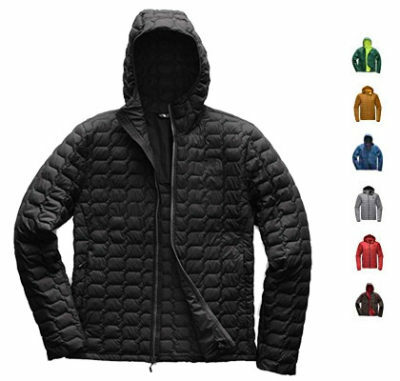 Traveling to cold climates requires a great coat, and the North Face Thermoball Jacket is lightweight, warm, and super easy to pack. It comes in both Men’s and Women’s sizes and we’ve tested it from Iceland to Antarctica and been thrilled with the results. If your travels take you to chilly climates, invest in a great jacket to keep you warm—and to keep your focus on the fun you are having instead of the weather! If you are a regular Road Unraveled reader, you know how much we love to promote sun safety—and that includes a great hat. 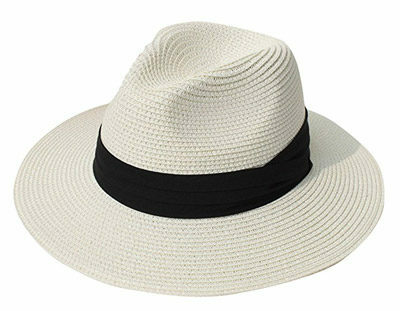 This wide-brim beach hat is a perfect compliment to any vacation where sun is a factor, and the added SPF 50 protection will keep you both shaded and protected from the sun’s rays. Strings built into the hat are adjustable so you can find just the right width for your head. We travel with more electronics than ever before, and hotel rooms rarely have enough outlets to accommodate them all. USB wall chargers are a great solution to our problem. 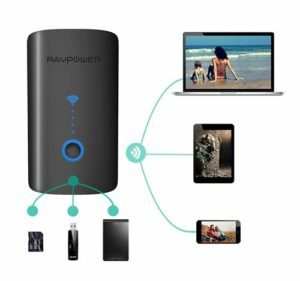 We can charge multiple devices at once, which saves us time and keeps us from the dreaded situation where we have to decide between a full phone battery, camera battery, or Fitbit battery. Best of all, these chargers require nothing more than an adapter to use them during international travel! Do you often travel to places without cell reception? 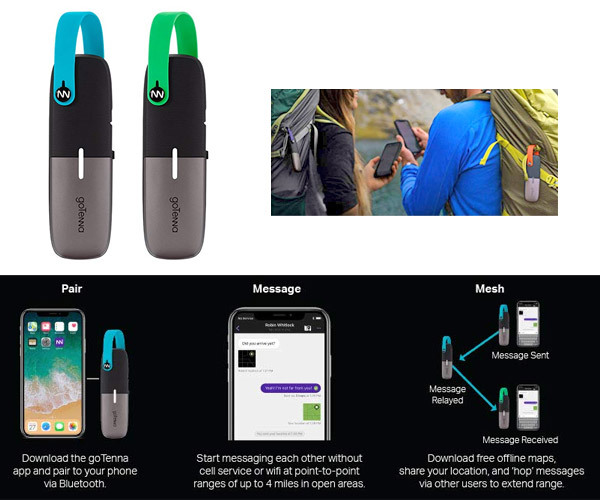 This goTenna is the perfect add-on to your packing list for situations when you really need to use your phone to communicate. Sold in pairs, just download the app and pair the devices to your phones, then you’ll be able to send texts between each device within a 4 mile radius. No need for Wi-Fi or cell reception! It’s a great backup for hiking or traveling to places with minimal to no cell service. 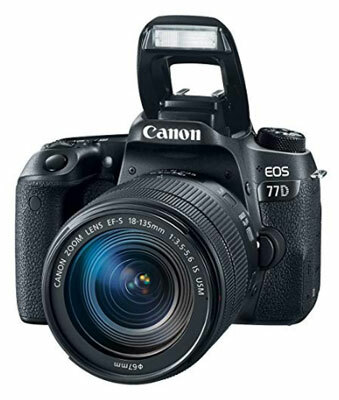 If you’re looking for a high quality, professional camera to use on your trips we recommend this Canon EOS 77D with the 18-135 IS USM lens. The 24.2 megapixel sensor lets you capture vibrant colors and fine details and it’s compatible with a wide range of Canon EF lenses. It also has built-in Wi-Fi2, NFC3 and Bluetooth4 technology that lets you easily transfer your photos and videos to your iPhone or nearby laptop. One of the challenges we encounter when we travel is heat, especially on stuffy planes or in hotels without air conditioning. 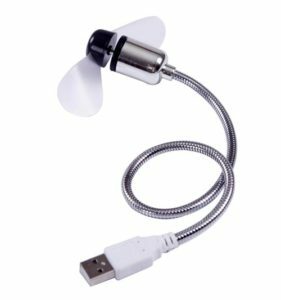 This little fan runs on a USB connection and is just powerful enough to keep you cool when it’s in close proximity. In a pinch, it’s an inexpensive way to get a little more comfortable! As a bonus, more and more planes are adding USB ports into seat backs, so this fan is perfect for longer flights! We often travel with our DSLR camera, but we don’t always travel with a laptop- which can make backing up pictures difficult to do on the road. The FileHub Plus is a great solution for backing up images from the camera or SD card without requiring a computer, and the complimentary free mobile app makes it easy to transfer those images to an iPad, iPhone, or additional USB drive for quick editing or sharing. Travel can be noisy, but our favorite noise-cancelling headphones will help you drown out distractions when you’re on the road. 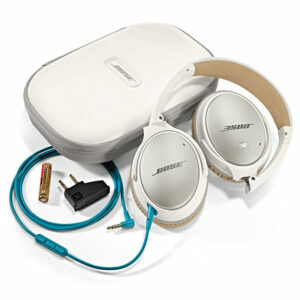 We love our Bose QuietComfort headphones because they run on a single AAA battery and include an audio connector for planes that still have two-prong headphone jacks. They are comfortable to wear, won’t give you a headache, and provide crystal-clear audio for all of the in-flight movies you will watch. If you are an avid reader, packing enough books to keep you occupied during a trip can take a lot of valuable real estate in your carryon bag. 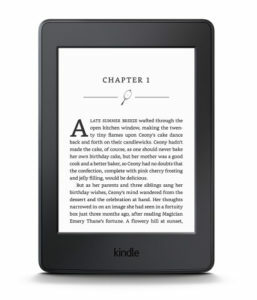 Although they don’t replace the feeling of turning pages in a book, Kindles are the perfect travel accessory because they provide instant access to your favorite reading material without adding bulk to your luggage. Select one with built-in backlighting for dark planes, and stock up on your favorite books using free airport WiFi when you are waiting to board! Travel often means taking lots of pictures on your phone- and if your WiFi connection isn’t reliable it might not be possible to back them up to the cloud. 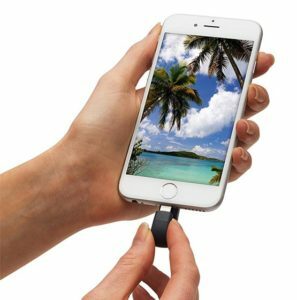 If you are an iPhone fan, this great gadget will backup all of your photos to a tiny thumb drive. When you want to transfer them to a computer, the USB connector makes it simple to do. No need for iTunes! We can’t begin to count how many times the Power Bank has saved our vacations! 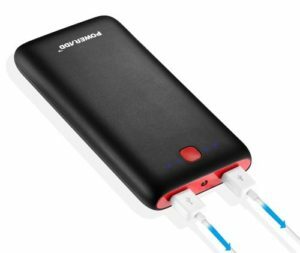 On long day trips when access to power outlets is nonexistent, this battery pack has the capacity to charge both of our phones at once. We typically get 4-5 full phone charges before the Power Bank needs to be recharged, which can be done via USB or a wall outlet. 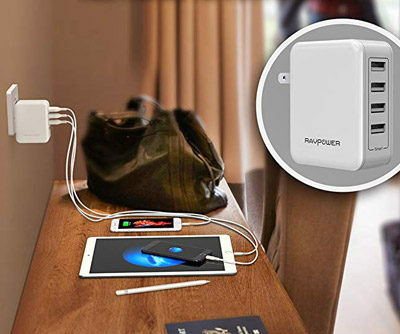 With multiple USB ports you can charge most of your electrical items on the go! Knowing your house is safe when you travel can help you relax and enjoy your vacation. 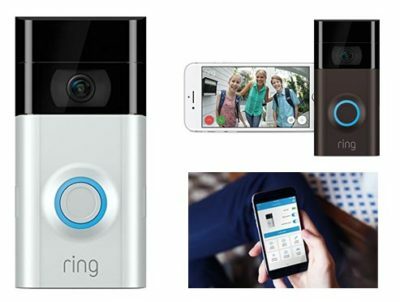 The Ring Video Doorbell is easy to install and alerts are sent to you as soon as motion is detected or whenever the Doorbell is pressed. It gives you the option to see, hear, and/or speak to visitors from your phone, tablet, or computer anywhere in the world. You can also activate the video at any time in case you’re homesick and want to see the view from the front door of your house. This is a great item to consider if you travel frequently. 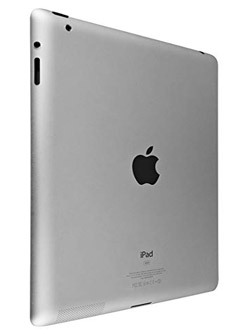 We consider our iPads to be travel essentials. With enough power and sophistication to replace our computers when we’re on the road, iPads are versatile enough to help us run the Road Unraveled website, connect with our work obligations, and watch a couple of movies on long flights. With great battery life and portability, an iPad is a great investment—and it’s worthwhile to look at older, refurbished models to save some money. Our vacations are active—and we love using our Fitbits to track how far we go in a single day! We’ve both used Fitbits for years, and although you can’t go wrong with any model, the Fitbit Charge 3 is a fantastic choice. 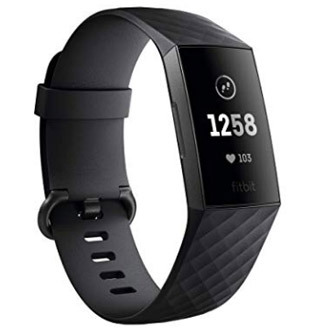 With up to seven days of battery life between charges and the flexibility to track steps, flights of stairs, heart rate, and even laps in a swimming pool, the Fitbit is an awesome way to keep fitness goals in mind (even on trips where food and wine are the star of the show!). * Disclosure: This post includes affiliate links. We may receive a small commission from purchases made through these links, but that does not impact your price or buying experience- or why we love these products. Only products personally selected and recommended by us appear in this travel shop, and we have never received a product in exchange for a review or compensation. Purchases made through the links above help us to maintain this website. Thank you for your support!